A veterinary medical internship abroad in Africa is a wonderful way to gain invaluable experience with vaccinations, operations, laboratory work, post-mortems, meat inspections and the routine treatment of animals and pets. 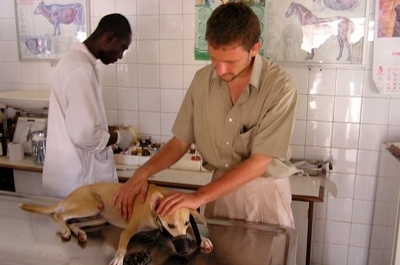 For individuals on a gap year, studying veterinary medicine at university, or wanting a career break that will broaden their horizons, a Projects Abroad veterinary internship in Africa offers a unique cross-cultural exchange that will enhance your résumé and increase your prospects within veterinary medical field. Whether you are interested in wild or domestic animal care, a variety of opportunities are available in Ghana and South Africa. Working as A Veterinary Medical Intern in Africa – What Can I Expect? As a veterinary medical intern in Africa, you will provide effective and practical help to local veterinary and animal care professionals. 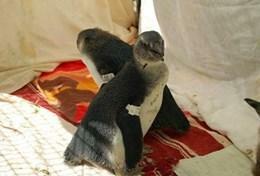 From administering vaccinations at the Accra Zoo in Ghana, to rehabilitating seabirds at a centre in Cape Town, South Africa, internships offer the opportunity to see and experience a new and exciting veterinary medical environment. During your internship, punctuality and professionalism are highly expected. Interns are usually required to work an average of 30 hours per week, and can anticipate a wide range of tasks and responsibilities throughout their internship. While knowledge of the native language in the country where you are interning is usually not necessary, most interns will be expected to be proficient in English. Whatever your level of veterinary experience, your input will be greatly encouraged and appreciated. Take the opportunity to make your own recommendations, or explain practices back home. Your adaptability and willingness to learn will be appreciated by your colleagues, enabling you to truly engage yourself as an active member of the team. 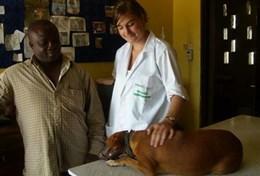 Volunteer in a veterinary clinic in Kumasi and get involved in administering vaccinations, observing and assisting in operations, laboratory work, post mortems and routine treatments.